All the flash files we uploaded here is previously tested in our life in several smartphones, means specific smartphones for specific firmware files to solved different reasons. You can also use the contact form to contact us by heading over to our contact page. Conclusion So, finally if have any compiling or want us to share latest software or tips to flash your Samsung Smartphone please contact in us via the contact page. 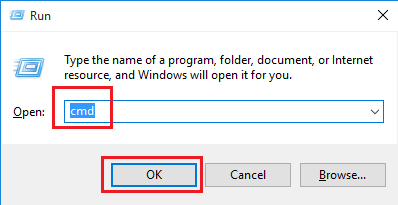 We attached the screenshots so that you can easily follow the steps without having any sorts of doubts about how to Bypass Google Factory Reset Protection. This is one of the best software to perform such functions. We have listed those methods above in the post. For that, if an unauthorized people try to reset your device by the one more method, this phone would still require the login by using the google account and password. Now, wait few minutes for complete the flash, when it complete your device will be automatically restarted. Simply add a new account and your device would be all set to use. We will go in detail that how to get logcats in every and easiest way possible. Android Fastboot Reset Tool v1. Such as the Odin flash tool. We always provide free and official downloading links so that you could not feel any difficulty while downloading it. This is an amazing tool. It protects the device from intruders in case you ever lose your phone. Also Read: You will now successfully Bypass Google Factory Reset Protection on your device. When you connect your device to the Odin, then you need to click on the Start button. It is really useful for developers to see which component has malfunctioned and helps to narrow down their search for what failed and what needs to be fixed. If you have not the Odin file, you can download Odin file click this link. Now, go back to the settings menu and reboot your device. We are not responsible for any illegal use of this tool and also for the damage to your device. Long press on the description that is right under the title of the option. Pushing is also very useful command. By following the procedure, you unlock the lock imposed by the Bypass Factory Reset Protection Lock on the Custom Binary of your Samsung device. We are providing you the software which you will definitely like for doing this job. It is a system that provides the Android device built-in security features that you can for the protection your smartphone and information with the data encryption and screen locks. If you are interested in this amazing tool, then what are you waiting for? But in new security patch level, bluetooth options is not working anymore, so that's why i've decided to share with you guyz new method on how to enable bluetooth option to make frp procedure easy for any Samsung Galaxy S7 Edge device. We can pull out i. You can also download this file by click the link. Several times users are asked to give logcats of their devices which are giving errors. Now reboot your device and power on again and enjoy. It is also a client-server program that comprises three components. Welcome to our website and thank you for coming here. That is the reason you could trust in our work and service always. How to use samsung combination files guideline. To make your searching and to flash the mobile we are taking the effort by publishing al the Tecno Smartphone firmware flash files in this site. If so, then you would not be able to reset your device. Most of the mobile phone user doesn't save their phone backup to start flashing, the disadvantage is to lose their all phone data after flashing. It is essential for every Smartphone user. There is vast amount of knowledge about adb but its most useful commands limit to getting:- Logcat: A real time log of what is happening in background of our devices. This feature you can find the Android version 5. . Is there a certain brand of headphones I can purchase from amazon to get this to work? If you have the various account on your smartphone, you can use any Google account for login. If it asks you to sign in, simply click on the No Thanks option. Here on this page, we are sharing its official download link, you will find and download it for your windows. If all commands not working then comment on this post. Make sure that you follow all the steps mentioned in the procedure. It is fully safe and secure against infected files and malware. Now, on the screen, it must be asking you to enter your account details. It will run on the development machine. Do let us know in the comment section below. If you've tried multiple methods to bypass frp galaxy s7 edge, and unable to bypass frp lock, because off course new security patch level now being bit difficult to bypass google account, before it was, just to dial emergency number, and then connect or pair any headset via Bluetooth to open chrome browser or calculator. So for Free All Tecno Smartphone New Update Version Firmware flash files and other latest flash file stay with us. 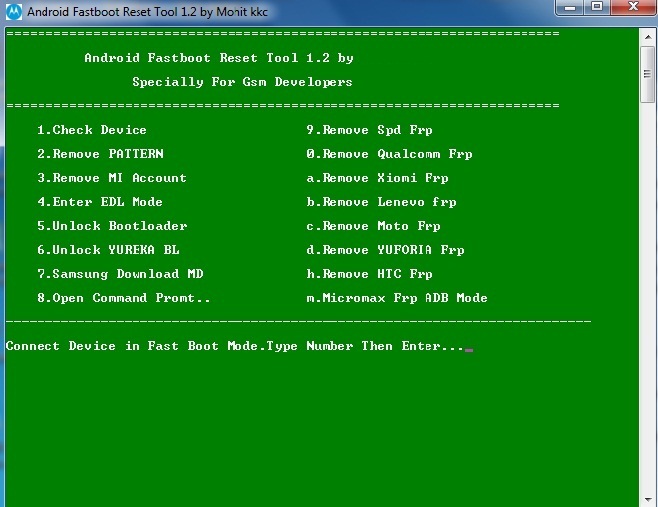 Also check: Download Android Fastboot Reset Tool 1. Thereafter, tap on Factory Data Reset and confirm the process. 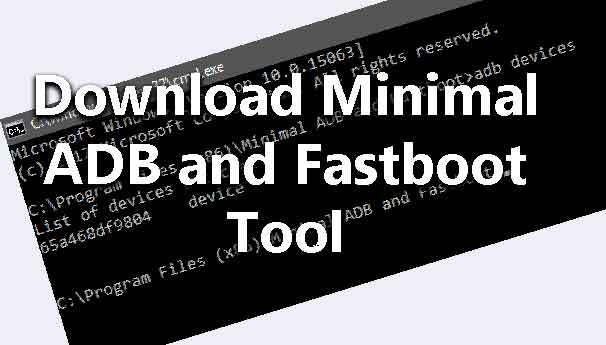 This powerful tool is developed by Ray Marm Aung and released for free download so full credit goes to them for sharing such a good software. When you do factory data reset on your smartphone that time all setting are back on the default setting, and all data is erased with the downloaded app and files. 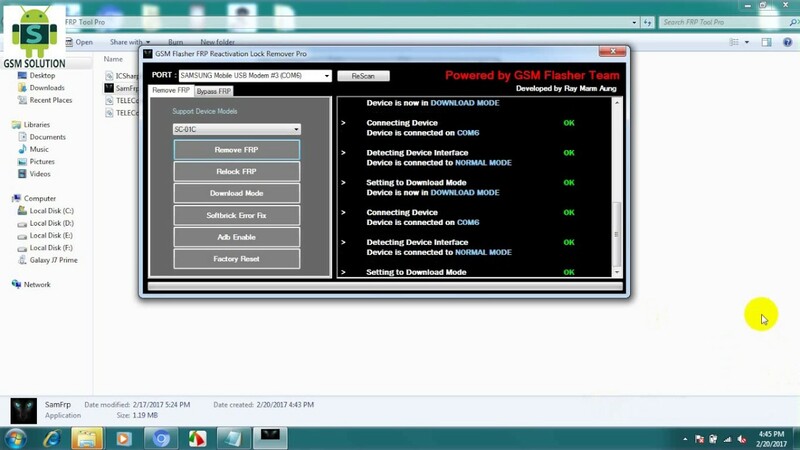 Now check the tool for find automatically device model on tool screen.